The 2017 Aprilia RSV4 RR is the first bike to debut at this year’s INTERMOT show in Cologne, Germany. 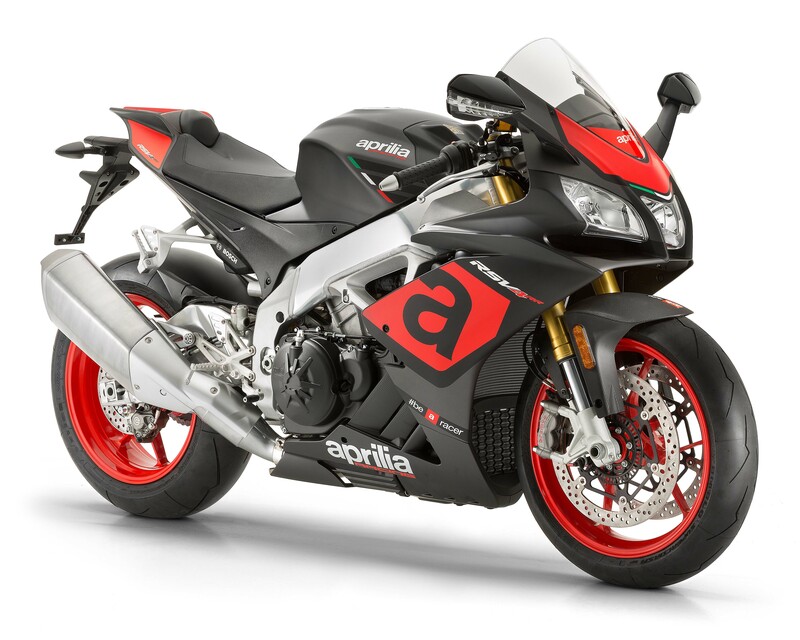 For the Italian brand, it is evolution, not revolution for its venerable superbike, with the Aprilia RSV4 getting some more bits and bobs for the 2017 model year. The key items of note are improved suspension and braking pieces, as well as an updated electronics package, which includes cornering ABS. Of course, Euro 4 emissions compliance is part of the package as well, something will see en masse this year at INTERMOT as it becomes mandatory for all models. The engineers in Noale have been hard at work though to keep the RSV4 at the pointy end of things, with the 2017 Aprilia RSV4 RR still making a claimed 201hp and 84.8 lbs•ft at the crank. This was accomplished by raising the redline of the Aprilia RSV4 RR by 300 rpm. 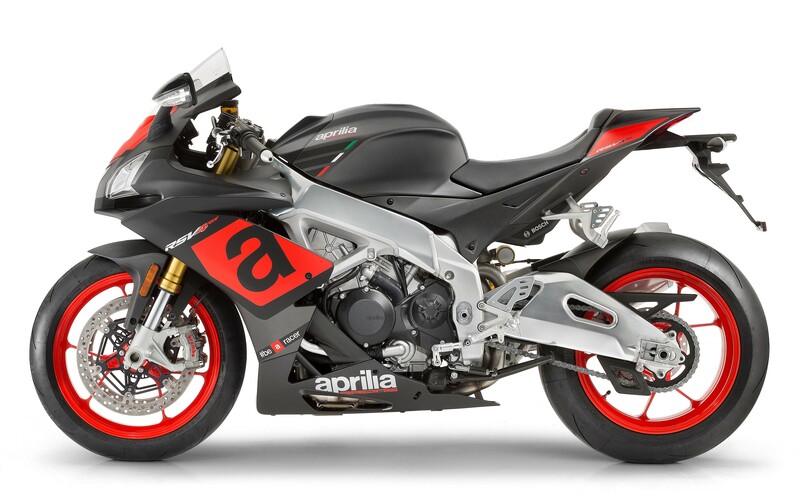 Aprilia has also done away with its variable timing intake ducts (a 500g savings), deeming them unnecessary now with the updated APRC electronics package. For 2017, the Aprilia RSV4 RR also gets magnesium external housings, along with magnesium oil sump and head covers, which were previously only on the RF model of the machine. On the chassis side of the equation, the 2017 Aprilia RSV4 RR has a bevy of adjustments to the frame and motor positions, which includes the engine position in the frame, the headstock angle, the swingarm pivot, and the rear end height. The updated Sachs suspension is fully adjustable as well, of course. New ATC: Aprilia Traction Control, adjustable on the fly, (without having to release the throttle) to 8 settings, as well as disabled, thanks to a practical joystick, now even more fine-tuned logic for higher performance operation. New AWC: Aprilia Wheelie Control, adjustable to 3 levels, also well as disabled, receives more precise operating strategies thanks to the repositioning of the inertial platform. Wheelie control can now be adjusted on the fly without closing the throttle, like the ATC, thanks to the new and more practical left side electric block. New ALC: Aprilia Launch Control, for use on the track only, with 3 settings, more effective with new operating strategies. New AQS: Aprilia Quick Shift, the electronic gearbox that allows shifting without closing the throttle and without using the clutch, now adds the capability of clutchless downshifting. New APL: Aprilia Pit Limiter lets you select and limit the top speed allowed in pit lane at the track or simply to make it easier to comply with posted speed limits on the road. New ACC: Aprilia Cruise Control. The new electronic management allows an advanced cruise control system to be introduced, convenient on long trips, letting rider maintain the set speed without touching the throttle. Riders will also benefit from Aprilia’s collaboration with Bosch to bring the Bosch MSC package to the RSV4 – better known as cornering ABS. This should help keep the 2017 Aprilia RSV4 RR at the pointy end of the superbike battle with consumers. No word yet on pricing for the US market, though Aprilia assures us that we will see the 2017 Aprilia RSV4 RR in the USA next year.